The creative world of Orla Kiely was founded to express visually her love of both patterns and colour, which play and work together. Her instinctive graphic discipline with clean, orderly repeat structures and her sense of nostalgia for all things mid-century add a quality that is comforting and uplifting. 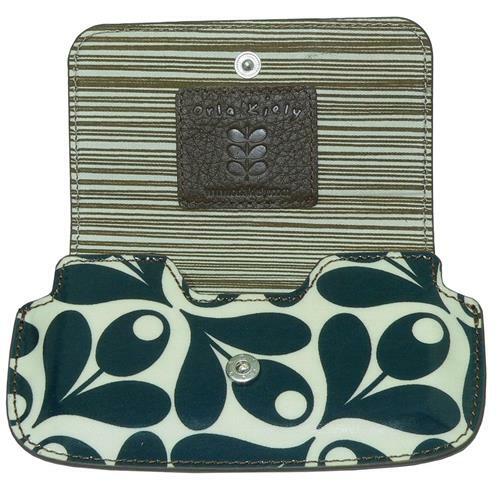 The Orla Kiely Wallet Case wraps around your iPhone perfectly, protecting it from external knocks and scrapes. With extra space inside the case, you can also combine it with a snap-on cover for added protection. The soft inner lining provides a touch of luxury, and there's a convenient slit pocket for your business cards, credit cards or cash. 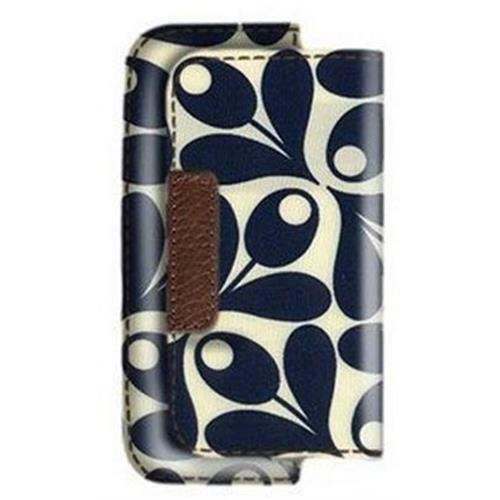 Protective, stylish case with recognisable design by Orla Kiely. Matt laminate outer casing with leather and soft inner lining. Slit pocket for cards and popper fastening. 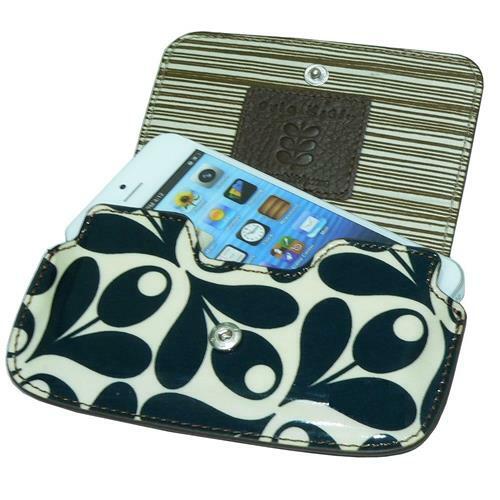 Extra space allowing you to carry iPhone with Orla Kiely Snap On Cover. Universal wallet type case; compatible with iPhone 5 & 4 & 4S, and other mobile phones.